Like all the other human emotions, anger too is a feeling which is not just normal but is useful as well. You might be wondering as to how can anger be useful. Well, this is one feeling which tells us that things either aren't fair or right. It is very good for identifying problems, but when it comes to finding a solution; anger certainly doesn't help. Anger is a difficult emotion to manage even for the elders then we can definitely make out how troublesome can it be for the kids. Therefore, it is very important that you watch out for kids' behavior. See to it, whether they are going out of control or getting aggressive owing to their anger. 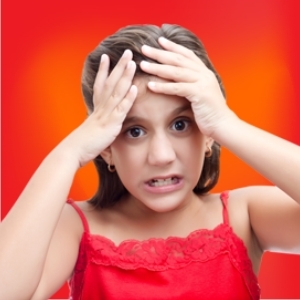 Helping kids learn the ways of dealing with anger healthily comes with many benefits. If you look at the short term benefits, then it prevents from self distress. And in the long term, the child learns to cope with the emotions and solve the problems. Anger to an extent is not a harmful thing. But too much of it can be very harmful for your child's mental and physical health. Kids generally don't recognize anger, they at times act before even realizing what has happened. When you identify the early signs of anger, kids tend to become more aware of their feelings which in turn gives them the power to control the responses to their feelings. How can you manage your angry child? 1. Don't be judgmental: You never know what must be annoying the child. Everyone has a different approach to things around. And you must always respect that. Don't be judgmental and pass a remark without realizing the depth of it. If your child gets angry very often or is irritated by the smallest of matters, don't assume things on your own. This will only add to his fury. 2. Talk it out: Sit with your child and try to understand what his thoughts are. Listen to what he has to tell you. There can be any problem upsetting him; related to any school assignment, a classmate, teacher or anything in random. Unless you try and figure out what is bothering him or making him so much angry, you will never be able to come up with a solution. 3. Don't raise your voice or start yelling: When your child gets angry and speaks in a loud voice, don't just start doing the same. This certainly is not an ideal way to calm down the angry child. If you'll also start yelling, it will suppress the anger for that particular moment only. The anger won't be washed out of your child's mind and it will lead to more frustration in him. 4. Never argue with an angry child: An angry child will never be able to understand the concern behind your statements. You will only make the matter worse, if you start arguing with him. Keep the interaction limited, so that none of your statements anger him further or upset him. 5. Let the child calm down: When our mind is disturbed, we don't pay attention to any advice given. Same goes with the kids too. Under the power of anger, they will never pay heed to what you are trying to say. So, let the child calm down. Pacify him and bring him at ease. 6. Use an empathetic approach: Again, you will have to be very careful about the way you approach your kid when he is angry. This will call for a great deal of patience from your end. Speak to him very normally and in a tone that's empathetic. 7. Engage in some anger relieving exercises: Teach your kids some quick exercises that can divert the mind from anger and help it calm down. You can ask him to take deep breaths, or start counting numbers. Laughing too brings the mind at peace and curbs anger. Make him write down the things that triggers anger in him. Once that's done, let him state why he gets angry at those things and see if there can be any solution found. 8. Invest your time: Your child will never be able to control anger on his own. You will have to invest your time so as to help him deal with his outrageous emotion. Create a bond that will allow him to share his feelings openly with you. If he fails to express himself fully, the anger will never leave his heart and it will only take a toll on his overall personality. Anything in excess leads to severe complications, and when anger goes over the limit; the consequences can be really tough to handle. Help your kids with this emotion and make sure they overpower it!